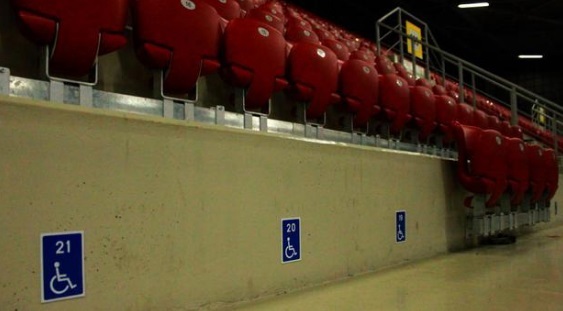 The hall is designed according to all regulations regarding the accessibility of disabled persons. The access for the disabled persons is made from “Asen Yordanov “ boulevard with a special ramp. There are 42 parking lots for disabled persons as well as two elevators in the opposite diagonal corners of the building connecting level 0 with level 1. After accessing level 1 all the elevators can be used to reach level 3, where 60 seats for disabled persons are provided. There are also 12 WCs for disabled persons placed on all levels. You can download map of the seats from the attached file.